Are you often buy your smoothie from outside? That’s not a good idea for a conscious people. Only Low conscious people said buy this smoothie or buy this bla bla bla. But, do you think for a second are these good for health? Recently, a report said that these pre-made smoothies made with different chemicals and low ingredients. Don’t worry this is possible that you can make your own healthy smoothies on your home with Nutri Ninja Pro Blender. Having a blender is thousand times better than buy a street smoothie. Drink a healthy smoothie a day can improve your body resistance system, make skin glow and much more. So, if you have this blender, you can test different smoothies every day for your morning breakfast. It is one of the most reliable blender on the market. And you should consider it make a substantial smoothie. Let’s see, is it capable or not what we said earlier? What Are The Key Features & Benefits? This high-performance personal blender comes with very impressive features. So that, it will help to make you a better smoothie. Powerful nutrient and vitamin extractor help you to extract heavy nutrition from fruits and veggies. 900 Watt power motor is enough to smash the ingredients. Pro extractor blades design to crush tough ingredients like ice, frozen fruits and seeds to give a smooth and consistency every time. It comes with 24oz regular and 18oz small mug with sip and seal lid. You will allow taking your nutrition cup on the go. BPA free Nutri polycarbonate mug. This professional blender includes 75 pro recipe guideline. 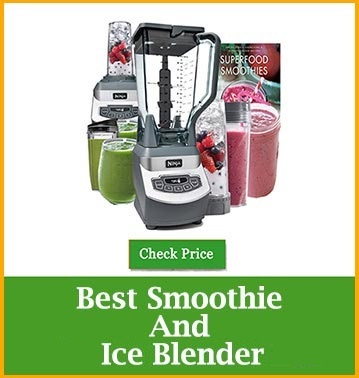 Why is this Nutri Ninja Pro Blender best choice? 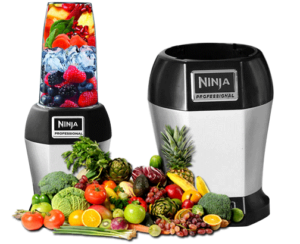 The Nutri Ninja pro blender is capable of making an instant decent quality of smoothies, protein shakes, and drinks. This is the personal blender at worthy price. It can crush ice into snow consistency without mixing any water. Easy to use and clean and dishwasher safe. Easy to crush solid fruits and ice. Bended all things in a couple of pulse with this 900-watt power unit machine. You can drink straight from the bottle. Its 4 blades are very sharp to chop and blends everything. Very helpful than a bigger old blender. Although, Nutri Ninja pro blender provide two excellent cups. But, if you need you can order more. The nutria cups are not much temperature protected. It is not able to make hot soups or coffee because it is possible to crack anytime. The blender is very loud during blend. The container is big for car cup holder. It doesn’t work great with peanut butter, raspberries & blackberries. Some of the personal blenders are only used to make mild smoothie and drinks. 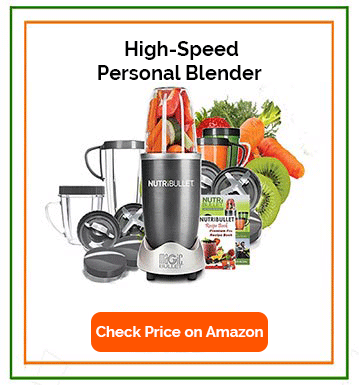 But Nutri Ninja Pro Blender has the ability to make different types of fruits and vegetables (different ingredients as your needs), Baby foods, blend protein power and make shakes or slushes, cold coffee, juices cocktails and other strong beverage. 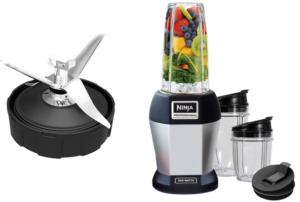 What does the user think about the Nutri Ninja Pro Blender? On whole time we said it is one of the best personal blenders but “why”? Because of its quality and well-satisfied user. Most of the user said they are using it for making baby food, smoothies and protein shake every day, and it’s done the job very consistency. They are very happy and feel comfortable having this in their kitchen. Some of the users said they fell very disturbances for its loud sound. But majority one said it’s ok. Few customer said that they couldn’t use it from the beginning and break it after few uses. For that reason I recommended everyone to read the manual guide to use it. A 56 years old guy said he has almost every blender on his table, but Nutri Ninja pro blender is best for them. But if you need very quality blender, then you can get it. After reading and saw all customers review you decided to buy one. 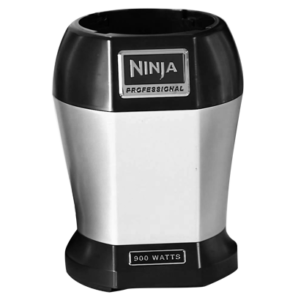 But one last thing I want you to ask yourself: What I expect from my Nutri Ninja Pro blender? Do you want incomparable, low price and compact size blender? Whatever your needs, all these things are available in this market approved blender. It’s most powerful and trusted brand recommended by Amazon. But, a great decision always depends on you. If you want a high-performance blender for making smoothies and protein shake then you can go with this blender.